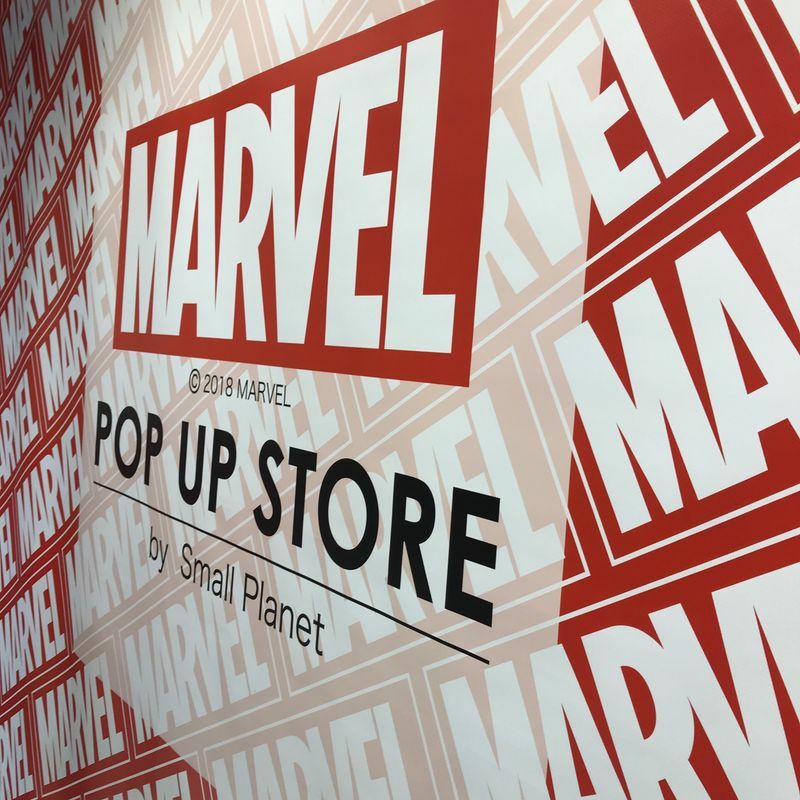 Act fast, Marvel fans: this pop up is only available until August 31! 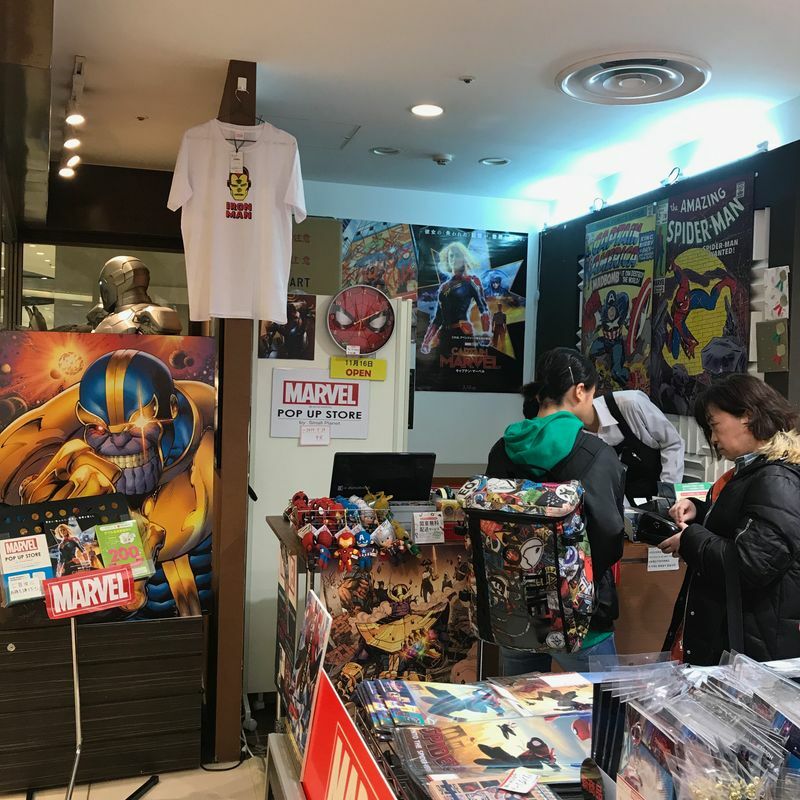 If you're in Yokohama Station and have some time to spare, head to the Joinus building and check out this little shop. 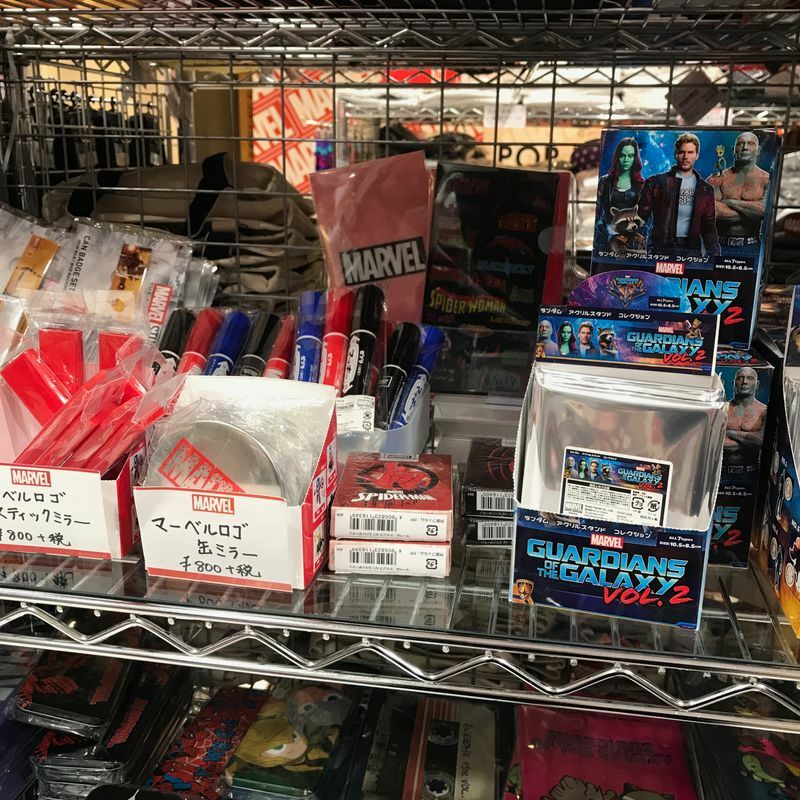 The shelves are stocked to the brim with all kinds of Marvel goodies. From the recent installments like "Into the Spiderverse" to popular ones like "Avengers," they have all your favorite characters. There's more than just the standard fare, like totes and stationery. 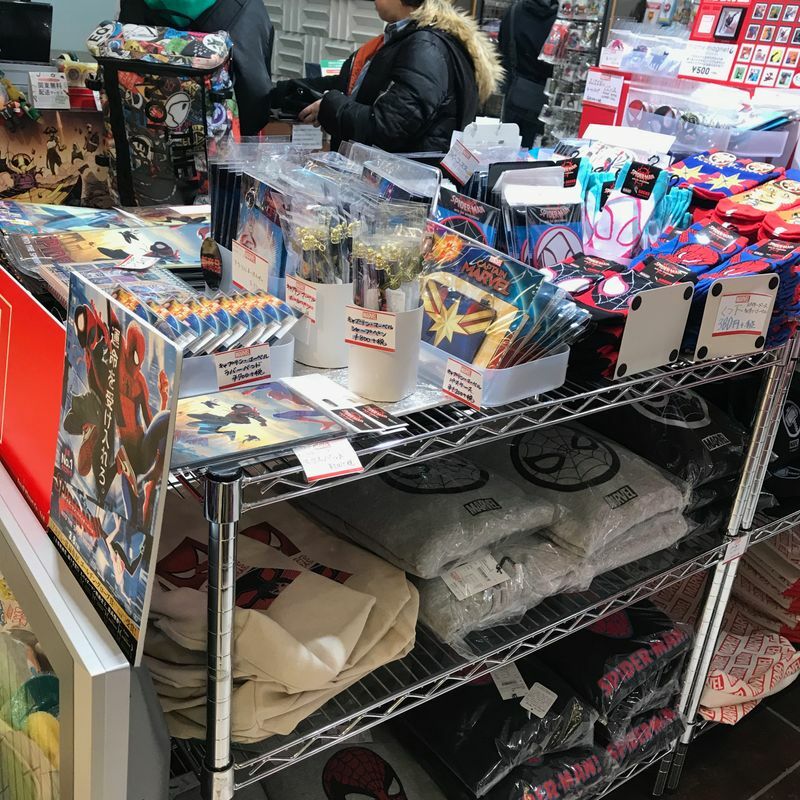 There are mugs, pouches, clothes, blind boxes, and essentially everything imaginable with a Marvel logo. Their stock is constantly changing, reflecting the newest movies out in theaters. Their Captain Marvel stock was small, but they'll add more goods as time goes on. For Marvel fans and non-fans alike, it's a good place to spend a few minutes.